Modern pest control has changed the way things are done. If you envision a house tented and fumigated or an exterminator with a tank of toxic chemicals on his or her back, you are picturing an old way of doing things. No longer are such ham-handed methods used for ordinary pest problems. Modern methods are very effective, but don’t require the excessive use of harmful chemicals. These chemicals, while effective in killing pests, leave behind a residue that is also harmful to people and household pets. This modern method is called Integrated Pest Management (IPM). We are Colorado Pest Management, and we offer environmentally sensitive pest control for household pests and wildlife problems. In this week’s article, we’ll look at the background of what IPM means and the steps that are included that make IPM one of the best pest control methods for residential and commercial use. After the second World War, the number of synthetic insecticides proliferated, and scientists quickly surmised that widespread use of these chemicals should be balanced with a more gentle, environmentally friendly method. Through the 1950s entomologists and farmers worked together to develop methods that included chemical and biological controls for pests that would otherwise limit crop yields. By the 1970s there was a renewed sense of stewardship toward the earth and alarm at the effects of pesticides. This awareness was due in no small part to the efforts of people like Rachel Carson, who connected the dots between DDT and declining bald eagle populations. In 1972, President Richard Nixon directed federal agencies to use IPM, and President Carter followed this with establishing an IPM Coordinating Committee. As you can see, this method has been around a while, and in the decades since the U.S. government began using it, it has moved exclusive agricultural and government installation use to be used by households across the country. It has steadily grown in popularity because people everywhere are more concerned than ever about that toxic synthetic chemicals in our environment, both immediate and global, and the effects they have on the health and well-being of all creatures, humans included. There are four main aspects to the application of Integrated Pest Management methods. The first step is setting a threshold for action. Your pest control actions need to be in proportion to the problem you are having. Your threshold will depend on where the building is and what type of structure is in question. For example, your threshold will be different if you run a restaurant than if you are looking at a farmhouse in the middle of a field. It follows, then, that one mouse in a farmhouse would not require the same level of reaction that a rat in a restaurant would. Monitoring the pest population is part of this step, but will be returned to again in other steps to measure the effectiveness of the program. The second step is the identification of the problem. 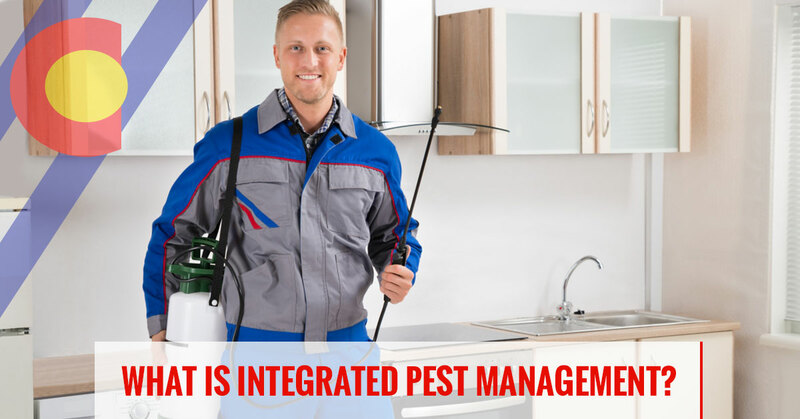 Integrated Pest Management experts, such as those at Colorado Pest Control, have been thoroughly trained in a large range of pests. From bed bugs and rodents and wildlife, every animal has its own behaviors and habits. Knowing these behaviors and habits arms your pest control expert with tools to use against the pest. Knowing the exact pests means that pest control can be done with surgical precision. The third step is prevention. Integrated Pest Management experts have a proverbial toolbox full of methods that can be pulled out and used. When these methods are used in proportion and in the right place, they can be highly effective in containing the problem. Included in these preventative measures are, according to the Environmental Protection Agency, reducing clutter, sealing entry points, removing trash and overgrown vegetation, removing trash and overgrown vegetation, maintaining clean dining and food storage areas, installing pest barriers, removing standing water, and educating building occupants on IPM. These steps are often overlooked by chemical-based pest control methods, and so the root of the problem is not addressed. With IPM, this step is essential and is surprisingly effective. Control actions are the fourth step in IPM. Steps to control pests move from the least risky to riskier until the pest is controlled. In most cases, harmful chemicals can be avoided. The practical steps used can include spraying oils, using pheromone traps, sealing entry points, eliminating water and food sources. Practical steps that don’t include toxic chemicals are always the first to be used to avoid exposing people and household pets to toxic pesticides. When stronger chemicals are used, they are used in a targeted way to minimize negative effects. When these four steps have been cycled through one time, most pest problems are eliminated. In some cases, for persistent pest populations, these steps will be done again until the problem is effectively eliminated. If you are interested in having this environmentally responsible pest control method used to control your pest problem, call Colorado Pest Control. We give free estimates for most pest problems.